The size of a man is not what he has but what he gives out to impact the lives of others. A man may own the whole world but shuts his door to the men and women of less fortune who mill around him. The indices of a man is seen in his readiness to share what he has with others. Professor Ben Ayade, the Senator representing the Northern Senatorial District has even before his election in 2011 has proven that he is a man with the heart for the people. This singles him out as a true leader. This is occasioned by his purposeful commitment to initiating programmes and schemes which have impacted extensively on the lives of the people of the district. These programmes include oversea scholarship scheme, distribution of high yield rice seedling, partnership with CBN to train and empower fifty business entrepreneurs, Free WAEC registration for five hundred students, free food bank for the needy, free medical health care, construction of palaces for traditional rulers and subsidized transport scheme. Scholarship Scheme: The first batch of three hundred students from the five local government res of the Northern Senatorial District who wrote and passed an examination openly conducted departed Nigeria in October, 2013 for studies in top grade universities in Philippines and Romania. The second batch left the shores of Nigeria to join the first batch on Sunday, the 15th of December, 2013. During their departure, Senator Ayade enjoined the beneficiaries of the scholarship to take their studies seriously in the foreign universities and to be good ambassadors of Cross River State, their home state, the Northern Senatorial District and their families. 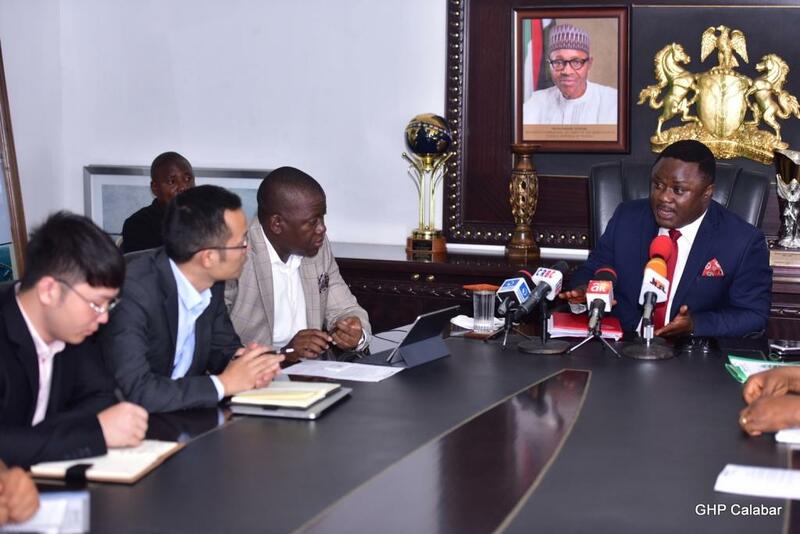 The Senator who spoke through his Personal Assistant, Dr Steve Odey said the four-year study programme is to equip them intellectually and socially so they would contribute meaningfully to their communities and state in science and technology. FREE FOOD BANK: CONSCIOUS of the starvation faced by rural folks especially the vulnerable such as widows, abandoned old people and sick abandoned in hospital without anyone to look after them, the distinguished Senator initiated a free food bank to meet their needs. The flag off of the food bank held at the Okuku Motor Park has food items like rice, yams, garri, noodles, beans and palm oil which are carried round the five local government area of the senatorial district in vans for distribution to the needy. “Every living thing needs food to survive that is why we are giving free food to the people to eat and have good health”. Dr Steve his untiring Personal Assistant said at the occasion. According to Odey who is supervising the free food distribution, the food bank is “a practical demonstration of Senator’s commitment to improving the lives of the people in this senatorial district”. 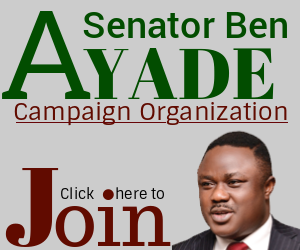 According to Odey, Senator Ayade comes from a humble background and does recall often how difficult things were then and have become more difficult now especially for, “The aged, retired, the physically challenged, the orphans, widows and those in leprosy centres to put food on their tables”. Dr Odey said the food bank will depend significantly for its supplies on the FARO 40 high yield rice which the Senator supplied to farmers in the district last year for cultivation which would be bought back from the farmers to boost their income while Ayade Motors will be the major source of income for the sustainability of that programme. 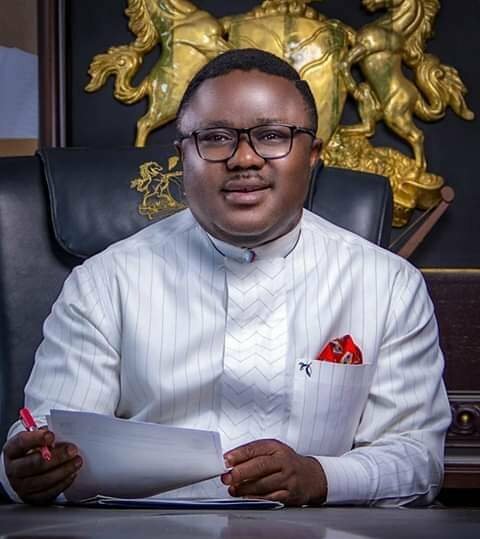 “The Ayade Motors transports people to and from Calabar at a discount fee and the money is used in maintaining the vehicles on our fleet while the balance will be deployed in funding the free food distribution” Senator Ayade’s aide stated. 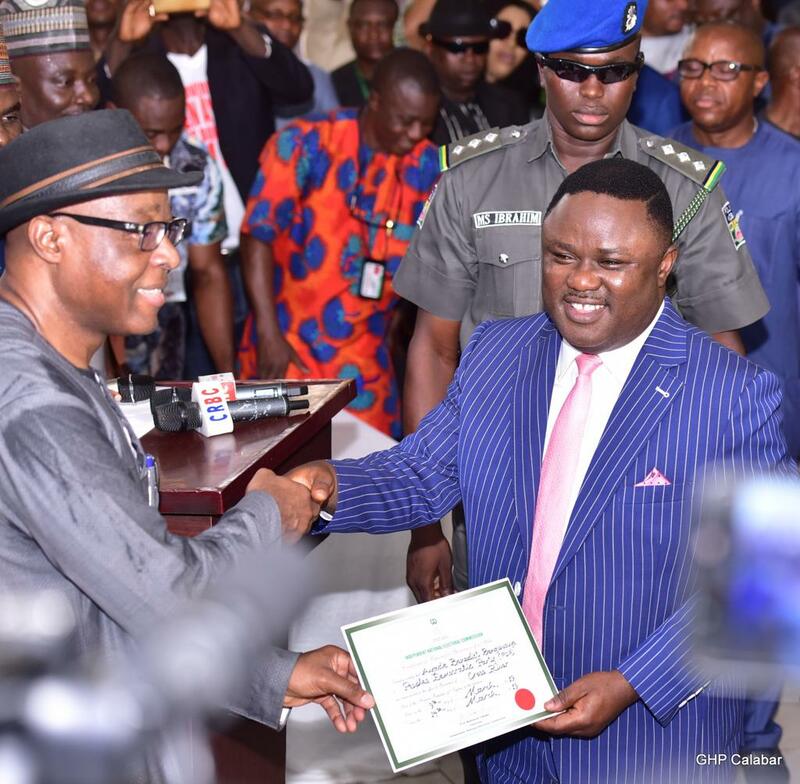 Free WAEC Registration: Senator Ayade during the last WAEC registration paid the registration fees for five hundred students in both public and private secondary schools in the senatorial district. 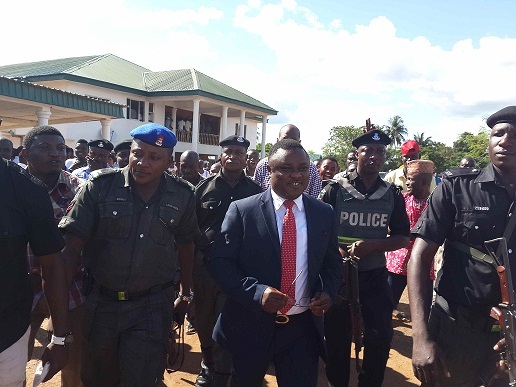 Senator Ayade said his decision to provide the free registration for that large number of students is based on the importance of education in the development of a nation and his compassion for the less privileged in the society which accounts for his regular award of scholarship and educational assistance. 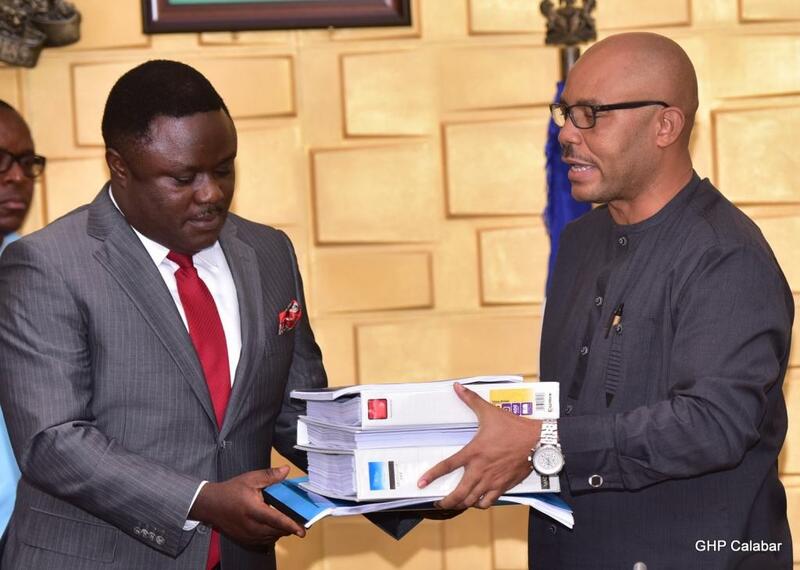 Senator Ayade asked principals of secondary schools in the senatorial district both public and private to select two best students in their schools based on the Mock Examination result to benefit from the free registration exercise. The Exercise was coordinated by the Coordinating /Supervising Director, (CSD), in the Ministry of Education Zonal Directorate Ogoja. HIGH YIELD RICE SEEDLINGS: aware of the preponderance of an agrarian population in his senatorial district, Senator Ayade distributed free certified rice seeds (faro 47 and 57) worth multi- million naira to farmers across the five northern local government areas of the state. Central to the introduction of this rice by Professor Ayade is its potential to provide highest returns on investment, its high resistance to pests attack, high quality grain paddy and above all has the high yield per hectre. The making of the Green Millionaire Programme as he calls it through high yield rice is aimed at creating jobs for our teeming youths and parents too. Senator Ayade Ayade on the 15th of April, 2014 released the sum of 50 million naira for the empowerment of fifty young entrepreneurs trained at the Central Bank Entrepreneurship Development Centre in Calabar. This is in addition to sponsoring their feeding, accommodation for four weeks along with transportation from the Northern District to Calabar for the training and back. Speaking on the essence of the training, Dr. Stephen Odey stated that his boss undertake the initiative in order to contribute to the economic development of the State and further enhance the financial capacity of his constituents, achieve optimum entrepreneurship development, create an effective voice for each beneficiary. Dr. Odey stated that these huge and unprecedented achievements by Senator Ayade were made possible as a result of the encouragement and supports from the amiable Governor of Cross River State, Senator Liyel Imoke. People were treated from for life threatening sicknesses like ulcers, appendicitis, cataract, fibroid and hernia, to minor ailments like headache and malaria surgical operations for ailments that would ordinarily attract costs ranging from N10, 000 to N75, 000 were done free with drugs inclusive. SUBSIDIZED TRANSPORT SCHEME: He is also the first representative in the state to inaugurate a subsidized transport scheme. 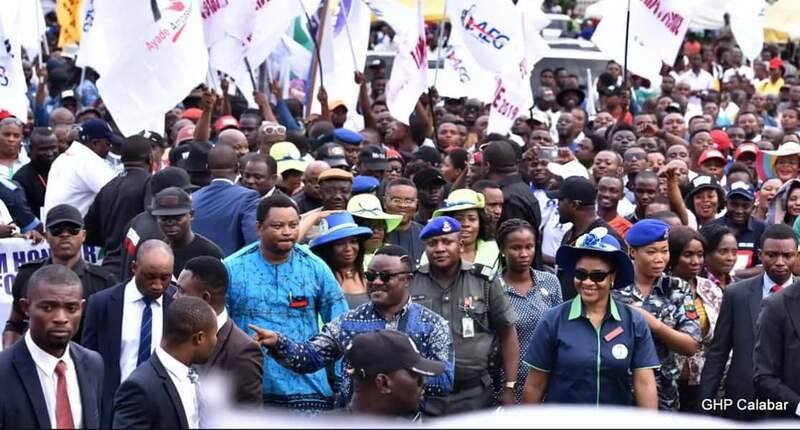 His Ayade Motors has six fully air-conditioned buses dedicated to this project that ferrets people from the five local government areas of the north to and from Calabar every day. The frequent astronomical increases by motorists that ply those routes have been curtailed as people can now be comfortably taken in safe and fast vehicles to and from Calabar the state capital at an affordable cost. TOP UP CASH TRASFER: This new initiative by the Senator provides people who are cash strapped with immediate cash to enable them meet urgent needs before seeking for ways to remedy their financial situation, this, without doubt will keep them away from the money lenders and their high interest rates. 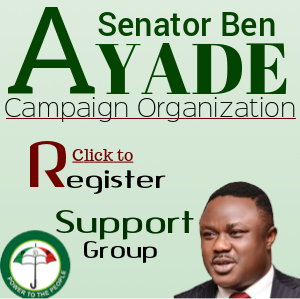 0n the floor of the Senate, Profesor Ayade is known to have presented the highest bills. He has presented Bills on Nigerian refinery, Social Housing Bill and several others. These are Bills that touch on the lives of the common man and this was made possible because Senator Ayade himself is a lawyer and well grounded on legal matters and the art of law making. This has to a great extent boosted the image of Cross River State in the Upper Law making chamber. As Dr Steve Odey, one of those who know him closely attests, Ayade has the milk of humanity in him which occasions for his selfless and tireless commitment to the welfare of the people. “He has been committed to doing good for the people even before he became Senator of the Federal Republic and his projects and programmes since he became Senator are a testament to the fact that he has the capacity and good will to achieve more at a higher position”. According to Dr Odey who is also a lawyer, Senator Ayade’s efforts at uplifting the people is not driven by the “desperate ambition to become governor of the state in 2015” as it is being rumoured in some quarters but he has been a philanthropist distributing his resources to help those in need long before he became senator and his desire is to see the people healthy, prosperous, wealthy as his main ambition is to derive poverty out of the state.